How do you choose the right care home? We understand that choosing a care home is not something that most people think about until it’s happening – either to themselves or a loved one. And then, depending on the circumstances, people can sometimes feel rushed or even pressured into making a decision quickly. Families often tell us that they feel overwhelmed by information when it comes to finding a safe, caring place for a loved one to call home. So, if you’ve experienced any of those feelings, you’re not alone. And we can help. We’ve put together some straightforward advice to help you make the right decision for you and your family. This is probably the most obvious point but it’s so important to note anyway. You must remember that however honest and open a care home’s brochure is – it’s also just that. A brochure designed to showcase the best bits. A good care home should have no problem letting you speak to care workers, residents (within reason) and their families about their experiences and how they feel about the care they receive and the environment they live, work and visit. Obviously you’ll need to be sensitive to some people’s ability and willingness to speak to you, but most people will be only too happy to help you in this decision making process. After all, it was something they went through themselves so ask them how they now feel about the decision they made. Ask for the name of the local GP who conducts regular visits (if there is one!) or the GP who is called out to the home when residents need attention out of hours. This person will be able to give you another level of insight through their professional opinion of how well suited the home is to your own or your loved one’s needs. You’d be amazed how much a place can change over the course of 24 hours. Just think about your own home! To get the best and most ‘real’ idea of what life in any care home is like, we recommend that you visit at least three times, each at a different time of day: morning, afternoon and evening. By doing this, you’ll get a better idea of what a typical day will look like, how the atmosphere changes during the day and how residents are supported to use the space and the facilities as things like the light and the weather changes. To give you an example; because the gardens and café at Askham are open to the public, we encourage people to just ‘pop in’ whenever they like to get a real feel of how our community functions without the worry that it’s been staged for their benefit. Don’t forget that this is going to be someone’s home. Getting top-quality care is essential, of course. But what if that’s all that’s on offer? Whether you’re choosing a home for yourself or a relative, remember that there is more to their life than their condition. Outdoor space, facilities to promote movement and social interaction are the things that help people to retain a sense of independence, dignity and happiness. Look for a home that has a community feel, rather than rooms of isolated residents. For example, Askham Village Community has been designed to make the whole place feel like a small, friendly village in which to live. Our facilities include a café, shop, beautiful landscaped gardens, a state-of the-art physiotherapy gym and a hydrotherapy pool. We firmly believe that access to nature is essential for both physical and mental wellbeing which is why our glorious World Gardens are central to daily life. All care homes in the UK are regularly inspected and rated by the Care Quality Commission (CQC). Inspectors report on what they see on the day they visit and their reports give a snapshot of the home at that time. But there are other things, like a care home’s approach to service development and the experience of residents and relatives over time, that are worth having an insight into as well. So, speak to the home about these aspects too. 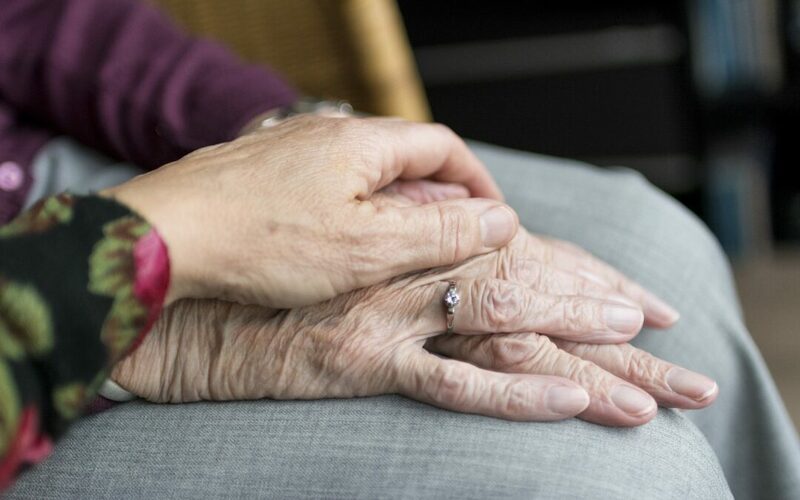 Whilst it’s important to check with CQC to be sure that a service isn’t deemed unsafe (this would be shown as ‘In Special Measures’ on the report), it’s also important to talk to care staff and the management team at the home so that you can get a sense of their service quality for yourself. If you like the look and feel of a home but find you’re then disappointed by a lower than expected CQC rating, speak to the Registered Manager to find out why that particular rating was given. Now, if they are reluctant to speak about it, that’s a big red flag. But the fact is, most homes are continually striving to improve and work towards higher ratings and the senior team will be able to discuss openly with you any challenges that they have faced and what steps have been taken to overcome them. At Askham, we work closely with the CQC to identify potential issues and, using our combined knowledge and experience, put plans in place to continually improve and implement new initiatives. By communicating with both the CQC, resident’s and their relatives, everyone feels at ease. Whether for yourself or a loved one, there’s no denying that the costs of care can be a significant burden on a family. Which is why it’s so important to be up front and honest from day one about any concerns regarding the sustainability of private funding. By speaking about, and addressing finances from the outset, the care home can firstly, set expectations, and secondly, work with relevant parties to ensure continuity of care in a sustainable manner for all concerned. Joint contributions from any of the above. Often, if contributions from the authorities do not meet the cost of the required care provision following pre-admission assessment, a third-party contribution is required.